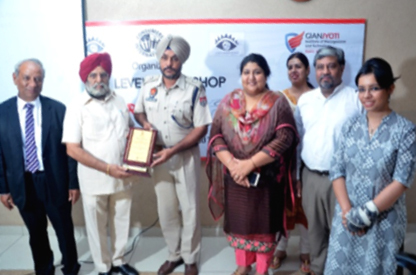 Full day State level workshops on “Internet Safety” and “Car safety” were organized on on 19 July 2016 at GJIMT, Mohali. Ms Rinki Sharma from Consumer VOICE, New Delhi and Mr. Surinder Verma, Chairman, Citizen Awareness Group, while exhibiting through data that though the internet users have now become cautious about internet security, yet a lot needs to be taken care while using the internet. 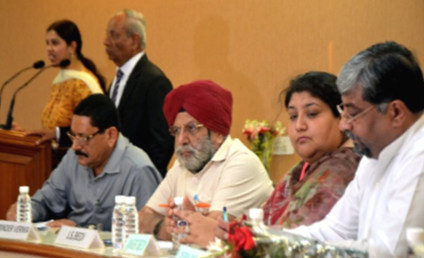 The prominent speakers were Ms Rinki Sharma of Consumer VOICE from New Delhi, Dr. Guneet Singh, Assistant Professor, Psychology Panjab University, Chandigarh, Mr. Jagwinder Thakhur, Assistant Professor, GJIMT, Mohali and Mr Harbir Singh Atwal, Superintendent of Police (Traffic), Punjab Police, Mohali discussed at length the safety measures available and the impediments in the implementation of such safety measure in India.